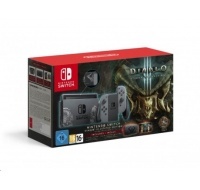 Nintendo Switch - Diablo III Limited EditionTyp konzoly:Nintendo Switch; Kapacita pamäte:32 GB. Nintendo Switch - Grey Joy-ConTyp konzoly:Nintendo Switch; Kapacita pamäte:32 GB. Nintendo Switch - Neon Red&Blue Joy-ConTyp konzoly:Nintendo Switch; Kapacita pamäte:32 GB. 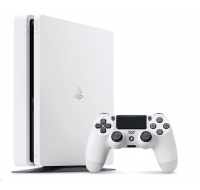 SONY PlayStation 4 (E Chassis) - 500GB - bílýTyp konzoly:Playstation 4; Kapacita pamäte:500 GB. 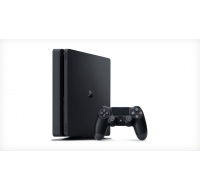 SONY PlayStation 4 (F Chassis, slim) - 500GB - černýTyp konzoly:Playstation 4; Kapacita pamäte:500 GB. 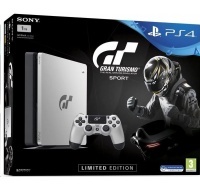 SONY PlayStation 4 1TB - černý + Gran Turismo Sport Speciální edice + That’s You + PS Plus 14 dníTyp konzoly:Playstation 4; Kapacita pamäte:1 TB. 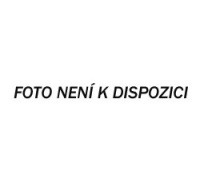 SONY PlayStation 4 1TB F Chasis (slim) - černý + TLOU + U4 + R&CTyp konzoly:Playstation 4; Kapacita pamäte:1 TB. SONY PlayStation 4 Pro 1TB - bílý - Gamma chassisTyp konzoly:Playstation 4 Pro; Kapacita pamäte:1 TB. SONY PlayStation 4 Pro 1TB - ledově bílýTyp konzoly:Playstation 4 Pro; Kapacita pamäte:1 TB. SONY PlayStation 4 Pro 1TB - černý - Gamma chassisTyp konzoly:Playstation 4 Pro; Kapacita pamäte:1 TB. SONY PlayStation Classic - retro konzole PS ONE zmenšená s 20 předinstalovanými hramiTyp herného systému:Sony Playstation Portable. 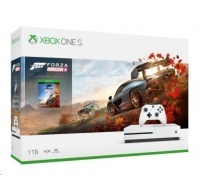 XBOX ONE S 1TB + Forza Horizon 4Typ konzoly:Microsoft Xbox One S; Kapacita pamäte:1 TB.